Massage Chair Relief now carries 4 models of the Cozzia line of massage chairs. Cozzia USA is based in California and imports their own chairs from Xiamen Comfort Science in Xiamen, China. Massage-chair-relief.com, the leading distributor of high quality massage chairs, announced this week that they will be adding the Cozzia range to their expansive fleet of massage chairs. Cozzia USA is an American company that imports its chairs from Xiamen Comfort Science, one of the largest massage chair manufacturers in China. Cozzia company headquarters are located in City of Industry, California. The company prides itself on being the value leader in the marketplace and by viewing the range of chairs at massage-chair-relief.com, it becomes immediately apparent that this could be the range of chairs for the consumer searching for a relatively affordable massage chair. But does the price of the Cozzia range equate to a compromise of quality and performance? 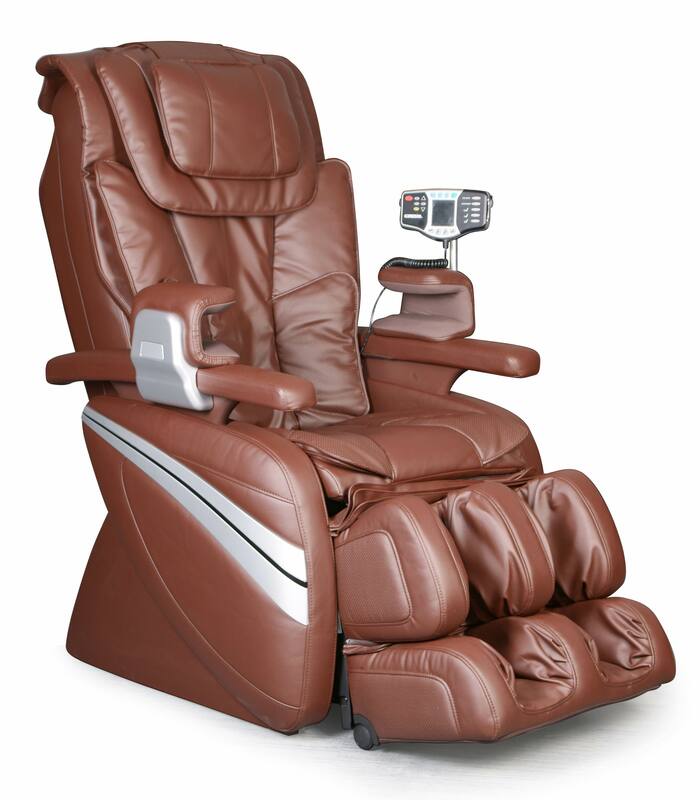 http://www.Massage-chair-relief.com carries four Cozzia massage chairs, currently ranging in price from $1,399 to $2,799. The most modestly priced of the chairs, the Cozzia 16018, offers an impressive array of massage features including Swedish, Shiatsu, kneading, rolling, tapping and dual action. The upholstery of the chair is durable synthetic leather, offering the comfort, feel and look of real leather. The massage recliner chair is also designed with an S-shape backrest to optimize support and comfort during the massage experience. Customization is another appealing aspect of the 16018; a user has the power to customize the speed and strength of three pre-programmed massage routines. Zero gravity has now become a feature consistently available in most high-end massage chairs. Massage-chair-relief.com now offers two chairs from Cozzia that provide this popular and effective massage experience. The zero gravity feature places a user in a position where their weight is distributed evenly across the chair, minimizing stress and strain and maximizing the effectiveness of the massage experience. The chairs available from Cozzia on the massage-chair-relief.com website that offer this feature are currently the 16028 and the 16027. The Cozzia EC366 Massage Chair is undoubtedly the most impressive Cozzia massage chair available for purchase on the massage-chair-relief.com website. The EC366 is also named as the SPA massage chair in the fleet. The auto-scanning feature determines a users height and adjusts the massage area to work around the allocated body effectively and efficiently. The main massage features of the EC366 include Shiatsu, kneading, clapping, tapping, rolling and vibration. All of these features are divided into pre-programmed massage settings¬––healthcare, relax, smart and Spa. Heat therapy is also available with the EC366, to relax the lumbar areas of the back. A feature that has proven to be very effective for both muscle relaxation and pressure relief. The massage experience of the EC366 is adaptable. The chair is designed to be both strong and sensitive, improving circulation, reducing stress and able to focus on the problem areas of the individual. In its price range, the EC366 stands tall as a chair that will bring a user the results they need. This chair also comes with a leather-upholstery option. The Cozzia range is a durable and advanced fleet of chairs at a very affordable price. For the consumer looking for a worthwhile investment in relaxation and relief, the Cozzia massage chairs could very well be the smart choice. To learn more about the Cozzia range of massage chairs, contact Dr. Alan Weidner, founder and CEO of massage-chair-relief.com personally on 801-417-8240 or visit http://www.massage-chair-relief.com/massage-chairs/cozzia/ for more information on the range.